Starting a crowdfunding website is an interesting business proposition. 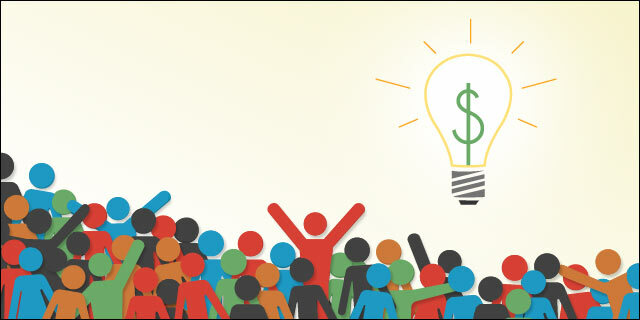 Crowdfunding is a trend that’s quickly catching up in the startup community. Those looking to start their own business are looking for such platforms to showcase their ideas and get the public at large to appraise and support them. This is the key to starting a crowdfunding website. As a business owner, you are out there to help other business owners. Your platform is out there, to do exactly that. Your business is to help startups to run successful crowdfunding campaigns on your platform. The users of the website should feel comfortable and assured about the success of their respective campaigns. You also need to set standards for the kind of business ideas you are looking for. This would help in maintaining the quality of campaigns that are run on your website. To start a crowdfunding website, you need a set of initial campaigns that will succeed for sure. If there are no campaigns on your website, then it will be really hard to take off the business. You need to have a network of friends in the startup community, who will post their campaigns on your website. This will take a lot of effort in the beginning and you need to personally ensure that each campaign on your website is successful. Most of the campaigns on your platform, will be provided by the respective teams. Motivating the startup owners to promote their campaigns is important. This will be the key driver of traffic on your website. The higher the number of campaigns on your site, the higher will be its traffic. Besides indirect traffic, one also has to ensure that more and more users come in from other channels. Promoting the site in the startup community is essential. Organizing startup events and grooming the community can be very helpful. One can advertize and guest blog on relevant websites and reach out to the right audiences. Producing useful content in the form of blog posts, infographics and videos is helpful, as well. Promoting the website on social media and building a community of loyal online influencers, is essential. The campaigns posted on your site need to be selected carefully. Ensuring that most of them are successful, would improve the level of trust that your website is able to garner. Operating in one business vertical at a time, gives you an edge in the market. This helps you start out as a specialist and pitching your platform to a group becomes easier. You can extend your services to include campaign management and business consulting to build a strong foundation in a particular niche. The most common form of Crowdfunding is donation/charity. There are some countries that do allow equity based crowdfunding options. The nuances of each model have to be understood before starting a platform that caters to varying business requirements. Team building is essential for building your crowdfunding website. One needs to hire specialists for technical as well as marketing requirements. A solid network is an essential for your crowdfunding website to succeed. Facilitating business funding, requires legal compliance. One needs to understand the compliance requirements for various countries, to be able to help the clients in a better way. Staying positive and motivated is the key to starting a crowdfunding website. Selecting the right sort of campaigns will help improve success rate. Building a strong network of passionate entrepreneurs is equally important. What Are The Most Essential Features of a Plastic Surgery Website? Ved Raj is a business enthusiast. He writes about startups, remote teams and outsourcing. He is working as a Marketing Manager with ValueCoders, a leading provider of remote development teams.